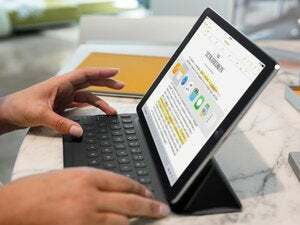 Can an iPad connect to a 30-inch Apple Cinema Display? You can connect an iOS device to some of Apple’s older displays, but only at 1080p. My problem is that my office has a 30-inch Cinema Display that has only a DVI-D connection. Is there any way to connect my iPad (lightning) connector to the 30-inch Cinema? Mike, have you ever heard of Rube Goldberg? (Or Heath Robinson?) Well, never mind. There’s a way, but it’s got a few steps to it. You can get an Apple Lightning Digital AV Adapter ($50) and then use an HDMI (male) to DVI (female) adapter, like this one from StarTech ($7.50 on Amazon). (Without testing, I can’t guarantee that any given iPad and these two adapters will work, but others have reported success, and there’s no reason it shouldn’t work. 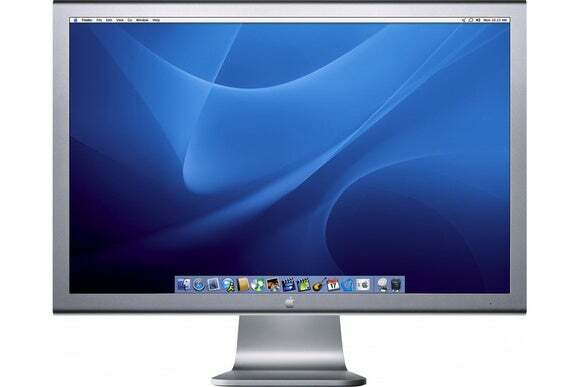 The Apple adapter supports pass-through charging via a Lightning port, and the Cinema Display should automatically set itself to a scaled-down 1080p resolution. Even though you need an 2012 or later iPad or any iPad mini or later model, the output is always no more than 1080p. A slightly more tricky set-up would involve an Apple TV, either the latest generation or an older one. With an HDMI to DVI adapter as described above, the Apple TV can drive the video for the monitor, and your iPad could share to the Apple TV using AirPlay. Turn mirroring on, so your iPad’s screen is shown on the Cinema Display. Unfortunately, you’re still limited here to the maximum resolution of the Apple TV, which is 1080p (or less with older versions). At some point, Apple will boost some of these settings, either allowing Retina output via an AV adapter, likely requiring higher-capability video chips in the iPad, or putting 4K support into a future Apple TV.